Pictured with Aidan Berry, winners of the Enterprise Rent-a-Car Prize for the best marketing plan: Alexandra Varga, Chris Bax, Zoe Shing and Kunwei Liang. 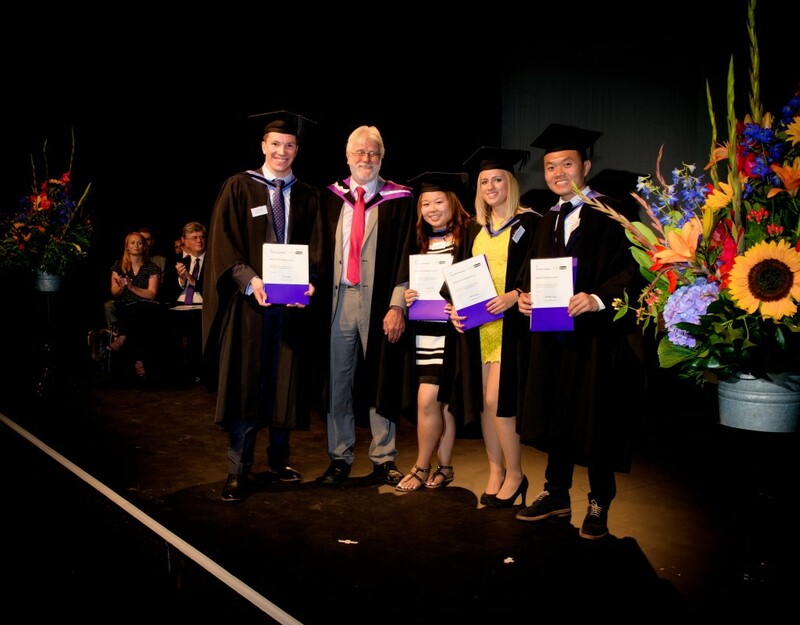 On 28 July, Brighton Business School held its annual prize-giving ceremony. Sponsored by local businesses and accrediting bodies, the ceremony celebrates and rewards the achievements of outstanding first, second and final year students. This year 74 students were recognised for their achievements during their course, with industry sponsored prizes for best projects, contributions to local businesses, overall performance and for success in competitions, such as the Client Interviewing Competition. Speaking at last year’s event Aidan Berry, Director of the Business School, talks about the ceremony and how the awards helps students’ CVs stand out further from their colleagues. View the full list of winners in all the categories BBS Prize winners 2016. Videos from a selection of the following award winners can be found on our YouTube playlist here.